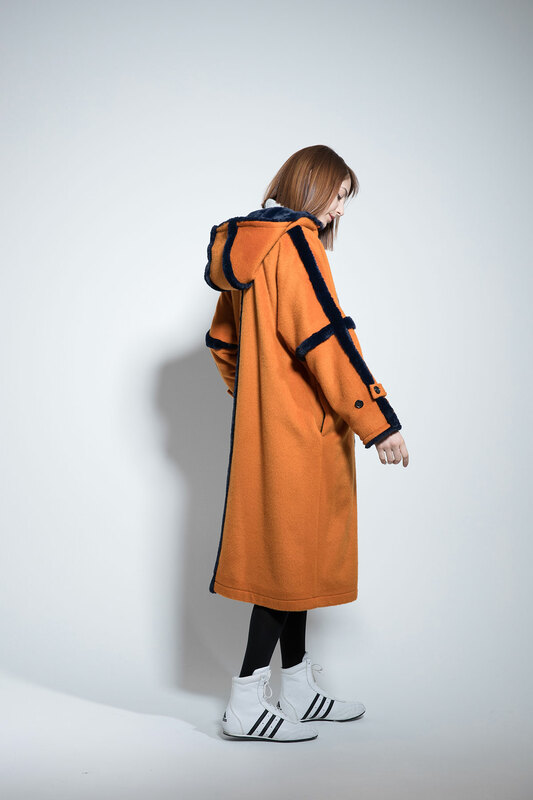 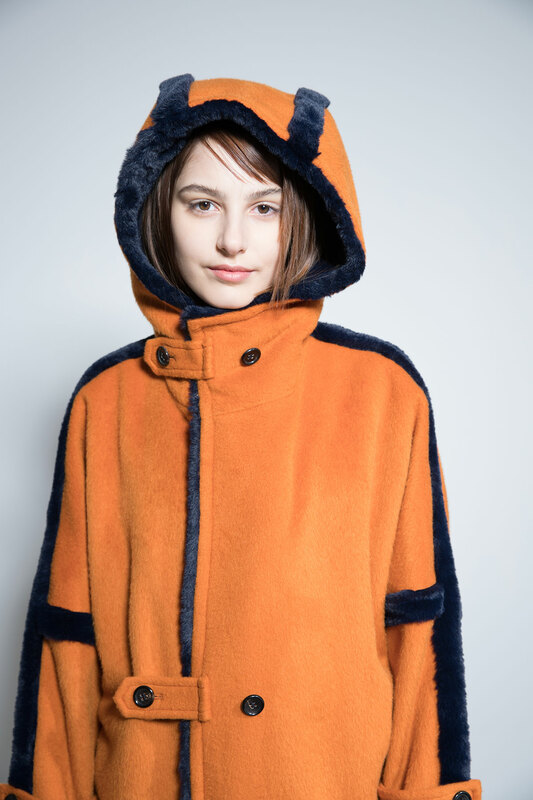 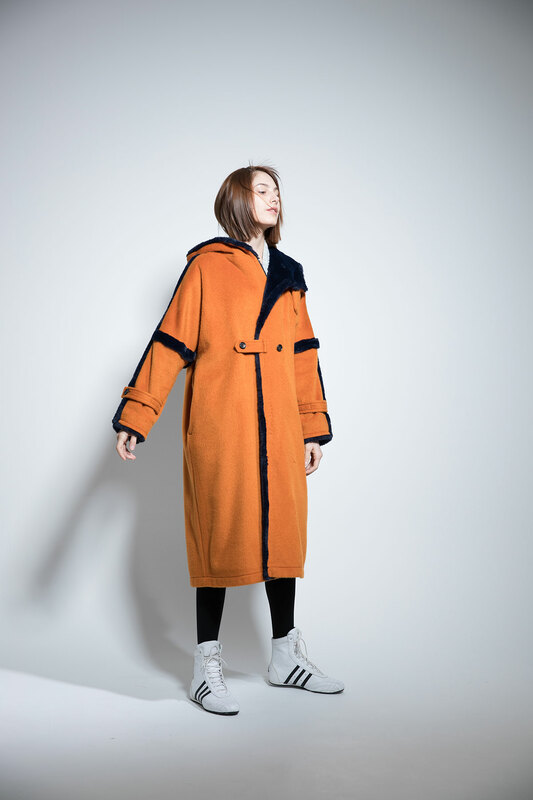 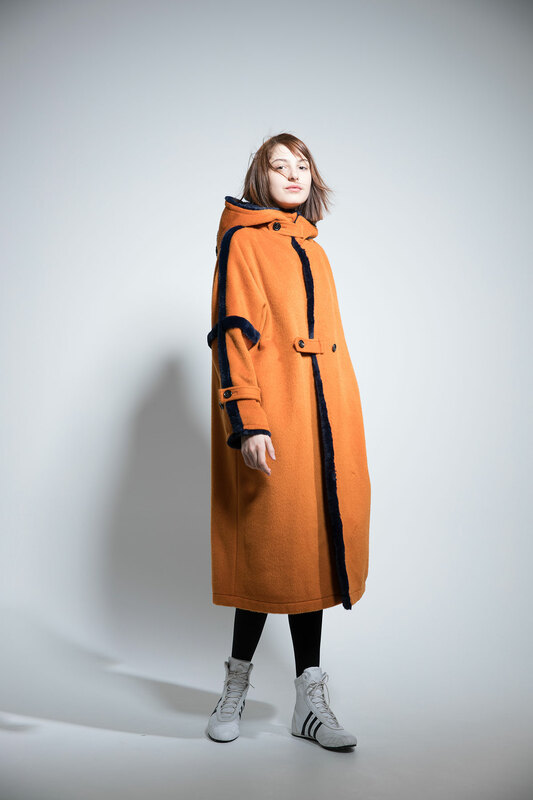 Hood collar coat in apricot 65% wool/ 20% nylon/ 5% alpaca/ 5% mohair shaggy combining navy 100% polyester microfiber fake fur on the back of hood and the facing of front, as well as seam lines. 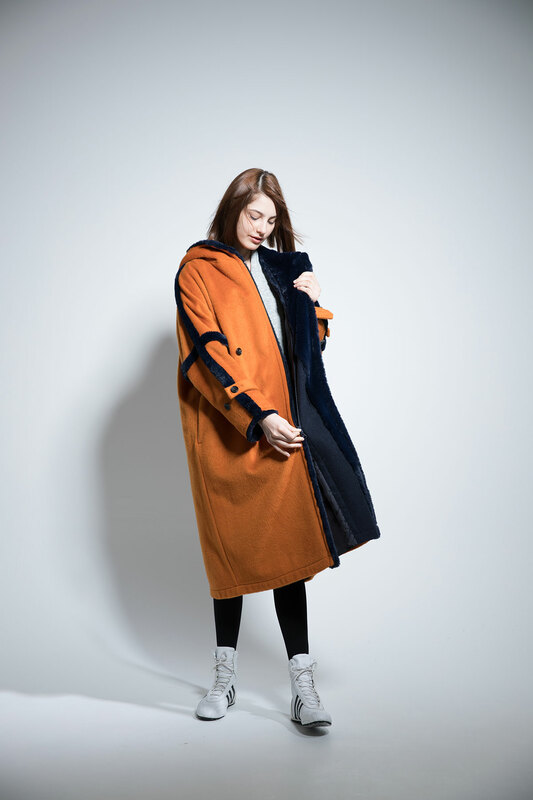 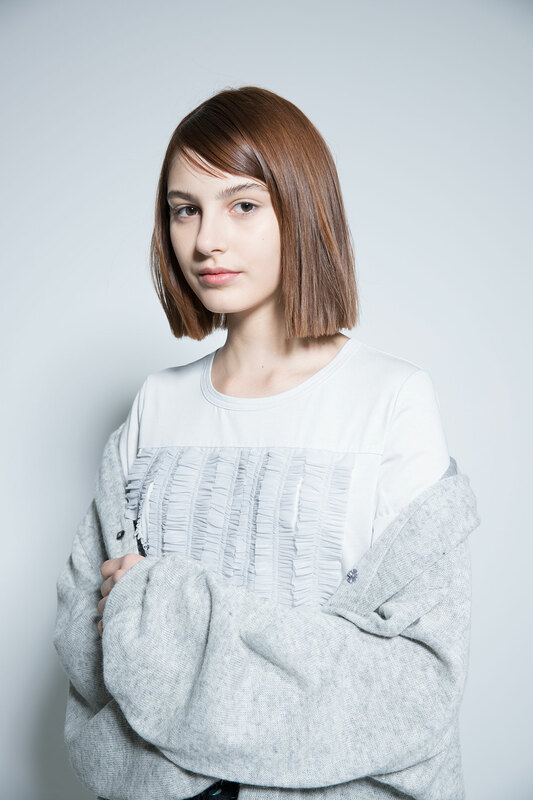 Straight shawl collar long cardigan in double-faced (100% tercel jersey on back) mixed light gray 40% wool/ 33% tercel/ 14% nylon /13% angora low-gauge knit. 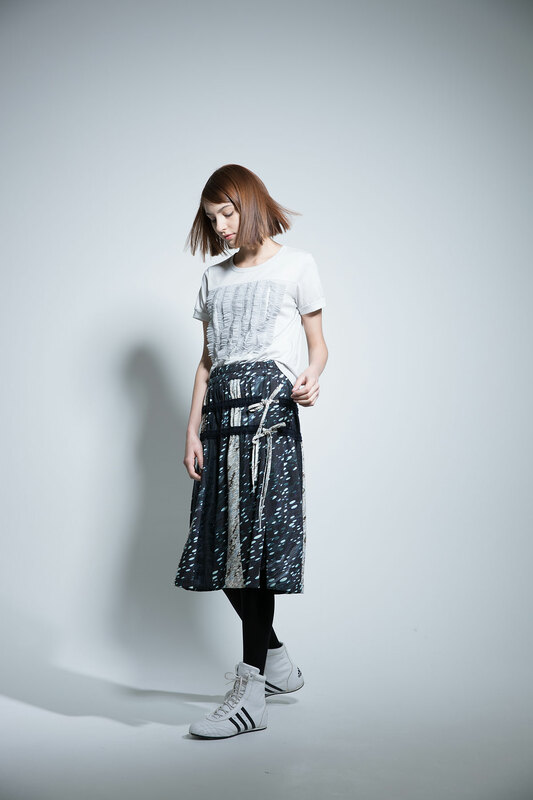 Patchwork skirt in the “blizzard” prints on 90% rayon/10% wool viyella combined with navy sparkle satin.